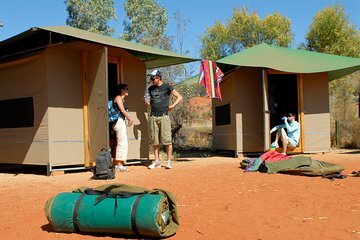 Combine algunos de los aspectos más destacados del Outback en este tour expreso de 3 días por Uluru y Kings Canyon desde Alice Springs. Dos noches de alojamiento en carpas, comidas y actividades por itinerario, y las tarifas del Parque Nacional están incluidas. Everything was good except at one stage we had to stop the bus and waited for 2 hours in the dessert for the company to transfer tour guides. The spot we were waiting was in the middle of nowhere. Which is poorly planned, could have more time at the Cafe or gallery. Apart from that, tour was fantastic!